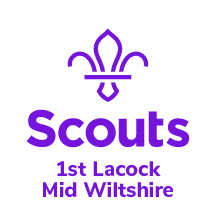 Hello and welcome to 1st Lacock Scout Group (Beavers and Cubs 6-10.5 Yrs). For details on how to join as a child or as a volunteer, please read all the details on our Joining page. Scouting is a partnership between the leaders and the parents of our young people. To be successful we need to be able to work in a way that utilises everyone’s skills. If we get this right the young people will get more out of the evenings due to your special skills and knowledge and you will enjoy helping out more if you are able to do something you love. Please can you drop us an email or a note to let us know of anything you do or skills you have from work or hobbies that may be useful to the group. Are you good with IT? Do you play an instrument? Do you write? Cook? Anything at all might be useful. Want to Pay subs On-Line? Please download and complete the form and return to one of the leaders.